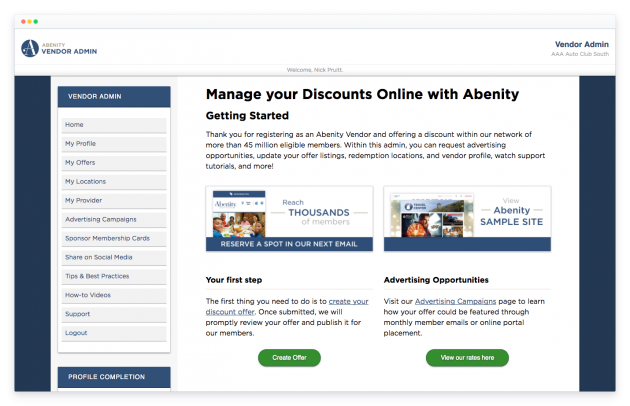 We’ve redesigned the Abenity Back Office for Clients, Vendors, and Providers! Our new design is fully mobile responsive, and fully integrated with Abenity’s growing Perks systems (ie: Discounts, Movie Showtimes, Giveaways, Wellness, etc. ).